Omaha Steaks®, a fifth generation, family-owned company and the nation’s leading provider of premium beef and gourmet foods and All Pro Dad, Family First’s national nonprofit fatherhood program, announced today they will be scouting the country to select the winner of the Omaha Steaks® All Pro Dad of the Year Award. “I’m so glad to be teaming up with Omaha Steaks to help make a positive difference and recognize deserving dads across the country,” said Tony Dungy Spokesman for All Pro Dad. June- Weber Genesis® S-310™ Gas Grill, Omaha Steaks Ribeye Lover’s Package and a trip for two to Canton, Ohio to celebrate football and meet Tony Dungy! 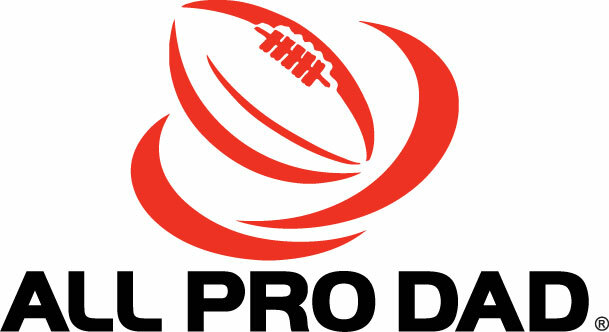 “We are proud to sponsor All Pro Dad to better serve dads and kids across America, demonstrating our ongoing support and commitment to families as the Official Sponsor of Dads,” said Todd Simon Senior Vice President and Family Owner. All Pro Dad has successfully served millions of fathers for more than 18 years by providing special resources for fathers and positioning fatherhood as a top national priority. Omaha Steaks will bring the sponsorship support to life through The Dad Department, a new section on OmahaSteaks.com, dedicated to meaningful dad related stories and advice, the best shopping and gifts for steak-loving dads, and real assistance to dads and families through support of All Pro Dad. “I’m so glad to be teaming up with Omaha Steaks to help make a positive difference and recognize deserving dads across the country,” said Dungy. Family First is a national nonprofit organization that reaches millions of parents each day through its three primary programs: All Pro Dad, iMOM and the Family Minute with Mark Merrill. Learn more at AllProDad.com, iMOM.com and FamilyMinute.com. Char-Griller, LLC is a family owned and operated grill manufacturer distributing products through major retailers in North & South America, Australia, and Western Europe. Char-Griller is the #1 brand of barrel grills in the US, delivering the reward and quality of charcoal grilling at a fraction of the cost of comparable grills. Recent innovations include the family of patented 50/50 DUO® Gas & Charcoal Grills as well as the ultra-affordable AKORN® Kamado Kooker. For more information about Char-Griller products, visit http://www.CharGriller.com or call 912-638-4724. Kamado Joe is a company that is devoted to providing top grade ceramic grills for an unrivaled outdoor cooking experience. With a focus on continuous innovation and product improvement, the brand’s ceramic grills – available in red in several sizes – offer cooking flexibility, aesthetic design and quality construction. Visit online at kamadojoe.com. Weber-Stephen Products LLC, headquartered in Palatine, Ill., is the world’s premier manufacturer of charcoal, gas and electric grills, grilling accessories and award-winning cookbooks and mobile applications. In 1952, founder George Stephen sparked a backyard revolution with his invention of the Weber® kettle. More than 60 years later, the privately held company’s products are sold worldwide at select national home centers, specialty hardware stores, patio stores and other retail outlets. Weber’s social communities include http://www.facebook.com/weberbbq, http://www.instagram.com/webergrills, http://www.twitter.com/webergrills, http://www.pinterest.com/webergrills and http://www.youtube.com/user/GrillwithWeber. Visit http://www.weber.com for more information.